Cutting it close to the deadline, so this week's card is pretty simple and close to the sketch. Hello Becky. 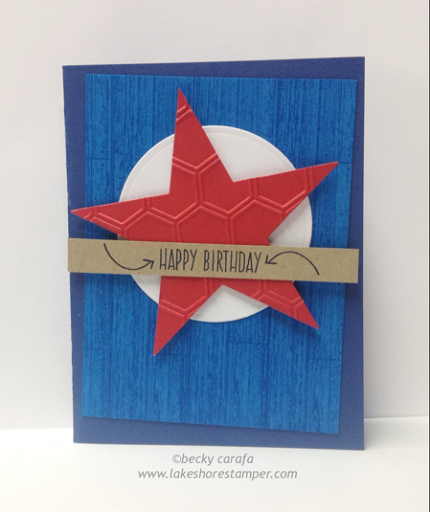 I love the design element of this patriotic card. Would be perfect for those people whose birthday falls on Fourth of July. Hope you have a wonderful week!